Most Bangkok slum women don't want a hand out. They want a job. 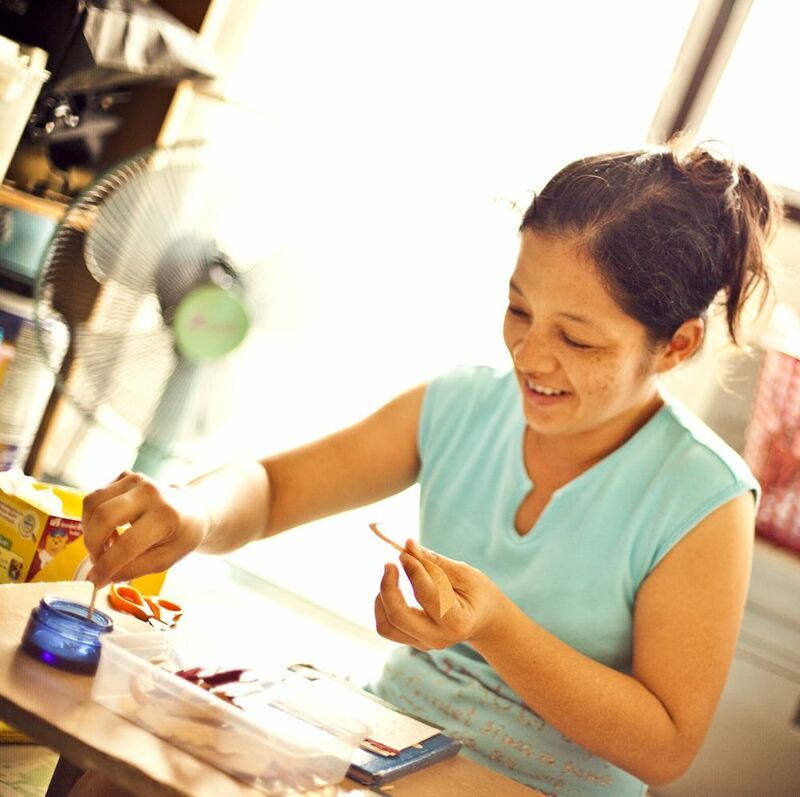 Hope Cards gives them that job, by providing work for them in their own homes, helping them become more self-sufficient. Women living in slums, are provided with materials to make cards. Once they have completed a group of cards they are paid a fair wage for their work. Hope Cards began in the fall of 1999 with a few ladies making cards. We now have 12 ladies from 2 slums making cards, but hope to see that number increase to 13 by the end of the year. Hope Cards are distinct in that we primarily use the bark from the mulberry tree to make our cards. Our specialty has been Christmas cards, having produced over 15,000 quality cards for sale in Thailand and overseas to date. We are now also producing “all occasion" cards as well with over 90 fresh designs to choose from. All profit made from card sales goes right back into the project to help expand it. Our main purpose is to provide work for the poor while introducing them to Jesus, giving us opportunity to teach and disciple them. We long to see real life change, both physically and spiritually.